Laughing is one of the most powerful healing tools we have as human beings. 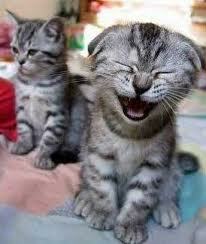 Deep laughing exercises all the major organs of the body, stimulates the lymph glands, and boosts the immune system. I am talking about real laughing – laughing from joy, or at least laughing to produce joy. Think back over your life and find a time when you were laughing for some other reason. Perhaps you were laughing out of nervousness, or fear. Try that now, laugh as if you are nervous or fearful. Notice how shallow it is, how it produces no real joy. Now, think about something in your life that brought, or brings you real joy and allow yourself to laugh about it for a minute. Do you feel the difference? Your belly jiggles, your body moves around and you probably feel a joyful surge rise up to fill you. This week, spend at least 5 minutes a day laughing. If you are sad and don’t feel like doing it, you need it even more that you think! Just do it. Even if you start stilted, with low flat tones, just keep at it… if you want look at yourself in the mirror, you will be laughing from a place of fun and joy before you know it. Laughing in this way every day will tell the divine that you are committed to finding joy. Joy will come in time if not right away. Laughing this way regularly will also bring a greater sense of well-being and health into your life. Thank you Nancy and welcome to the site.